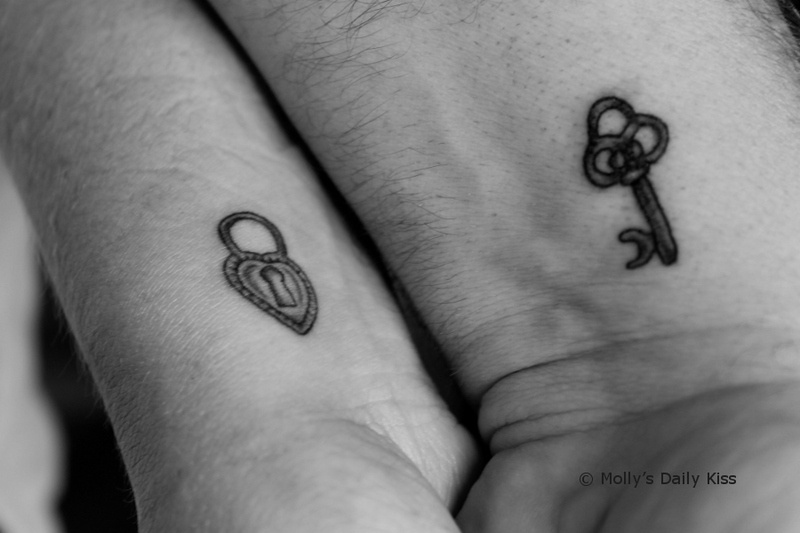 Molly has several tattoos and in one way or another they all connected to our D/s relationship. The first tattoo was applied on her first trip to Philadelphia. We had been discussing the design online for month and decided on a letter M that has many meanings, M for Molly, M for Michael, M for Mine and M for Mother. She was a bit nervous since this was her first tattoo and got a bit lightheaded a few minutes in. But once she was done she couldn’t wait for the bandage to come off so she could spend time looking at it in the mirror, and a bit of poking at the sore bit of her back. Her latest tattoo was done a few summers ago when we returned to Philly. 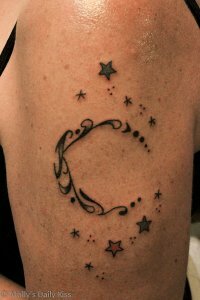 This time on her left bicep, a crescent moon with the letter K worked into it, surrounded by stars. The K stands for my surname (yeah, they really do talk like that here) turning ‘the night’ into Knight. This tattoo was done by a lovely lady who graciously granted Molly’s request for a scavenger hunt location. I also think that if Molly had her way Tina would be her soulmate/soletattooist. All of her permanent marks are about us and our lives. The things we have shared and the things yet to come. I know that neither of us are done with our ink. I also know that we will continue to annotate our flesh with the signs of love, life and D/s. For those that are too young to get the title I leave this link which will clear absolutely nothing up. You two are just adorable! I love hearing these stories, they make me feel all warm and fuzzy. 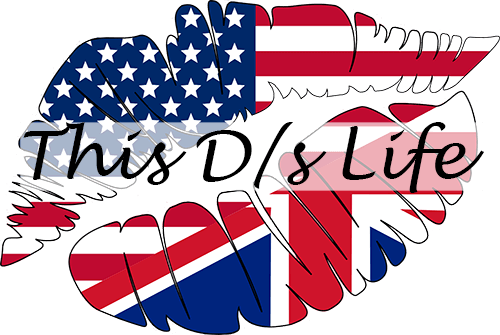 Whilst I already have a few tattoos we have a very special one planned. It’s taken us a long time to find the right design, artist, location etc which has reminded me I need to get my arse in gear and book the appointment! !